A classical blend of Merlot, Cabernet Sauvignon, Cabernet Franc barreled in French Oak that will delight the palate. 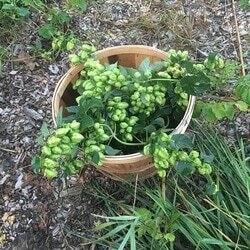 This dry red is a uniquely piquant wine with a surprisingly pleasant peppery, tannic finish. Our premier Bordeaux Red Blend of Cabernet Sauvignon, Cabernet Franc and Merlot, barreled in French Oak for 8 months and cellared for an additional year. This dry red is Merlot forward, with flavors of roasted coffee with a mild earthiness. 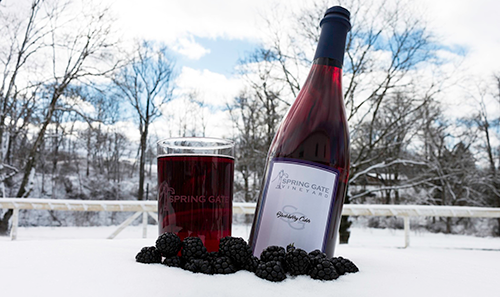 This fruit-forward sweet wine is a unique blending by Spring Gate of American Concord, with its flavor reminiscent of the juice everyone has experienced at breakfast growing up, and the French Hybrid grape Chancellor. This wine, however, is made more complex with the French addition and introduces cherry and strawberry to the taste also. It is perfect for making spritzers, serving well chilled on its own, and drinking with salty snacks. This gentle sweet white wine is a creative blending by Spring Gate of American Niagara and Cayuga grapes. It is full of the flavors of ripe peaches with a hint of citrus in the background, with a very long and pleasant finish. Perfect match for a mild creamy cheese, cold fried chicken with pasta salads, custard desserts like creme brulee and flan, or pies made with tart fruits. This wine is also available in a wine growler. ​Like wildflowers blowing in a meadow, the aromatics of this dry white wine complements the tropical fruit notes on first sip. This is a crisp, sweet, juicy, apple at its finest; a nice mix of sweet and tart apples to create a moderately sweet apple wine with the body of a grape wine. Have your glass ready and your mouth salivating for this basket of peaches in a glass. This sweet peach wine is straight from the orchard and full of succulent flavors. A smooth sweet finish is the perfect ending. Serve over ice by the pool, with grilled chicken smothered in peach salsa, or as the compliment to a fruit cobbler loaded with vanilla bean ice cream. This American grape was considered in the 19th Century in Europe to be superior to the Champagne’s of France or the Rieslings of Germany. We think its peach and strawberry tastes make this a great sweet wine for picnics and casual events, and it is a perfect beginner’s wine for people new to the world of wine. Blended with another American grape, Niagara, we think many will like this all-American experience. This wine is crisp and semi-dry with delicate floral aromas and a hint of citrus. The flavor also has hints of ripe strawberries and cherries. “Think Pink” is a reliable rule for matching food and wine, meaning that a pink food, like a simply prepared ham, will often match well with a pink wine like this lovely blush. Babbling Brook is refreshing and lightly fruity with hints of peaches and sweetness. It pairs beautifully with salty hors d'oeuvres like cheese & crackers, as well as a wide variety of Asian cuisine. But as a sparkling wine, it is good for any party, or as a gift for any holiday or celebration. This stainless steel aged Merlot is friendly to the nose with a black cherry aroma. Plum on the palate with a smooth acidity and soft tannins on the finish. This red wine shines when paired with a lightly spiced red meat on the grill or broiled to perfection. A deep blush color with a very fruity strawberry jelly on the nose. Candied cranberry on the palate for a sweet start and finish. Pair with your favorite spicy dish, or a fresh piece of strawberry shortcake. This sweet red wine is a unique blending by Spring Gate of the French/American hybrid grape Corot Noir that grows very well in Pennsylvania and Chancellor. This wine is made more complex with the French/American hybrid addition and introduces cherry and strawberry to the taste also. It is perfect for making spritzers, serving well chilled on its own, and drinking with salty snacks. Our Raspberry wine mingles beautifully with our Merlot to create a fruity sweetness that should not be enjoyed alone. It's a social drink that should be paired with lots of chocolates. This dry red table wine, made from a grape originating in the Loire Valley of France and grown extensively in Pennsylvania, should be paired with all your favorite casual beef dishes. Notes of black fruits, and a hint of pepper, bring a complexity due to a modest addition of a favorite and very American hybrid grape: Noiret. Oak-aged for 30 days, this fruity red is perfect for your table. Pairs well with front porches and sunsets. This dry red wine is prmarily vinted with Merlot and blendings of Cabernet Franc and Cabernet Sauvignon, and barreled in French oak. This deep purple, slightly sweet wine is a Noiret blend that is complex, with a hint of pepper and a long finish. Perfect for any red meat, especially with BBQ sauce, this is an easy drinking red wine that is not bold, but more reminiscent of great American Red Zinfandels. Our classic dry Chardonnay has never seen oak. Do not over chill this beauty in order to enjoy its fresh, crisp apple, pear, citrus, and tropical fruit flavors at their best. You can both sip this by itself, or a pair it with roasted chicken, white fish, or any dish with a white cream sauce. This lightly oak-aged chardonnay displays fresh stone fruit characteristics on the first swirl with a citrus finish on the palate. Food friendly which compliments seafood or light hors d'oeuvres especially well. However, enjoy this wine with or without food for a lively experience. This wine is pleasantly acidic with floral notes on the nose and on the palate after the first sip. A burst of crisp citrus sets up the lingering Asian pear on the finish. A glass of this wine would compliment scallops or grilled salmon for a satisfying meal. This equal blend of Traminette (a hybrid grape from the famous Gewürztraminer wine of Alsace and Germany) and Vidal Blanc (a hybrid of the great Ugni Blanc grape of France which is often used to make cognac) is floral to the nose with the taste of lemon and spice. It is well-balanced with a crisp, tart, fruit-forward finish that lingers for a long time. This French American Hybrid White wine grape is light bodied with fruity notes including grapefruit, green apples, and melon. It has a slight citrus aroma with a hint of minerality. As a dry wine it could be paired with salads, shellfish, any light dish on which you would squeeze a lemon, or even light but spicy fare of chicken and shrimp. This lightly oaked with French staves dry red wine, while a deep purple color, is not as big and bold as the color suggests, it is a medium-bodied wine. Bursting with fresh, sweet fruit flavors, but with soft, smooth tannins, it is a very approachable wine. Great with various barbecued meats, and will also pair with Gorgonzola, Blue cheese and even with darker chocolates. This off-dry red, while a deep purple color, is not as big and bold as the color suggests, it is a medium-bodied wine. For 2014 in addition to our standard Noiret addition (10%) we've added 5% 2013 French Barrel Oaked Merlot, and 5% 2013 Barrel Oaked Chambourcin. Again for this year, it is bursting with fresh, sweet fruit flavors, but with soft, smooth tannins, that is very approachable. Great with various barbecued meats, this stunner has an effervescent start, and will also pair with Gorgonzola, Blue cheese and even with darker chocolates. Like the German Rieslings south of the Mosel region in Nahe, this semi-sweet white wine should be prized for its refreshing crispness. This is a wine for fine wine lovers. Pair it with spicy Szechuan Chinese food, your favorite sushi rolls, or lighter fare including our favorite: white meat poultry. Like the German Rieslings south of the Mosel region in Nahe, this dry white wine should be prized for its refreshing crispness. This is a wine for fine wine lovers, made from grapes from New York's Finger Lake Region from a vineyard rated in the top 100 in the world. This Muscat has a lovely floral nose and a gorgeous orange blossom aroma, a hint of citrus fruits, delicate sweetness and a long, rich finish. Serve slightly chilled on its own or paired with white meat dishes and flavorful vegetable dishes. The Valvin Muscat grape from which this is made from is a complex French-American variety developed at Cornell University and has a long and distinguished ancestry. The Muscat (or Moscato) is believed to be one of the oldest domesticated grapes in the world, having been cultivated in Mesopotamia and the Nile Valley as long ago as 3000 B.C. This German-derived hybrid, which grows well in the northeast of the United States, provides a great experience. It can be paired with anything a normal Champagne would be paired with, including prosaic white pizza. This frizzante wine boasts white peach and fresh melon, with a touch of lime zest. 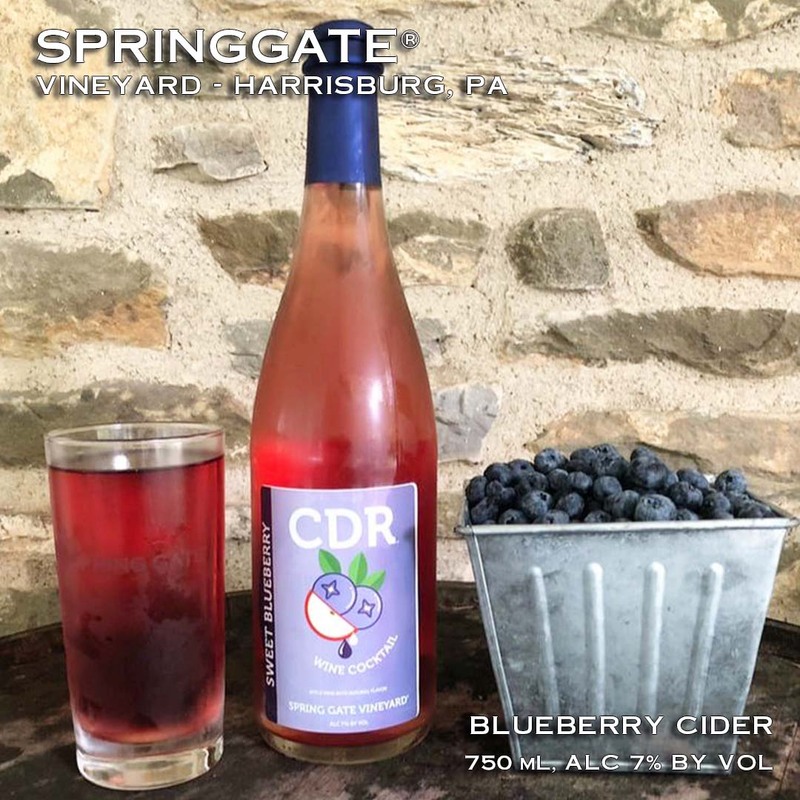 Wild blueberries falling directly into your glass, this light and refreshing sparkling wine embraces your taste buds with a strong berry open and a pleasant lingering finish. Carbonated apple wine with a twist of lime that perfectly balances the tart zest of lemon in this aromatic citrus refreshment. Best enjoyed chilled or over ice. A twist on the classic drink that allows the sunshine to dance in the vineyard; this wine is created from a blend of these two popular fruit juices: orange and white grape. This sweet and delicious cranberry infused sparkling wine will pair with chicken and other holiday fare for you and your family. Cider is an all-American experience no matter which of our flavors you enjoy. 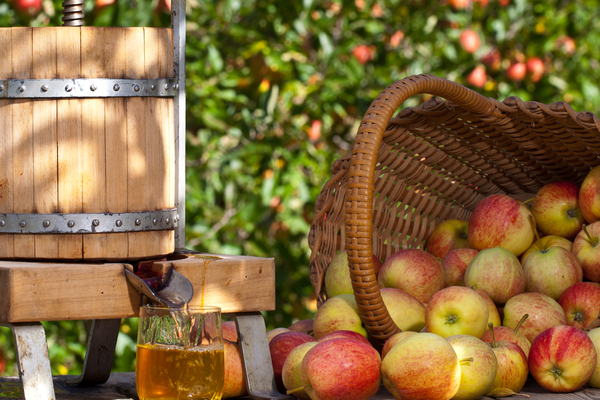 From the colonial period to today, Pennsylvania is a center for "cider culture" in all of its meanings. For us, we offer a cider flight, and our sparkling ciders are available on a weekly rotation on tap at the Champagne Bar and through our own 64 oz. growlers. In addition, many of our sparkling ciders available are available 750ml bottles crown capped. ​Our regular Cider Happy Hours on Fridays at our Vineyard site provide an opportunity to glass and growl select ciders at a discount. Announcements regarding which small batch (and other) ciders we will be releasing are available through our FaceBook page. We also have an annual Cider Festival in November that you will not want to miss. While we normally have two ciders as part of our weekly tastings. Cider flights are something that many people try and enjoy. With over ten ciders, Spring Gate's fixed selection flights change every week. We make a lot of Cider and it is hard to imagine that we were making 75 Gallon batches not too long ago. Now it is 2000+ gallon batches. HOUSE (SWEET) CIDER This cider is how we started our journey. It is our classic and least expensive cider. It is always on tap available for glassing and growling. Eventually, we will get around to bottling it. It pairs with everything including bacon. HOUSE DRY CIDER It took a long time to have a dry cider on tap for glassing and growling but we eventually got there! This basic cider's subtle flavors go with everything from fish to quiche. CASCADE HOPPED CIDER This dry hopped cider is available only on tap for glassing and growling. It is a semi-dry cider which pairs with everything from cheese to a salmon burger. 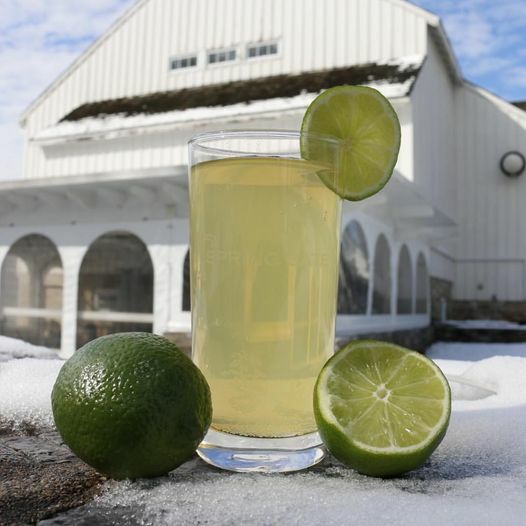 ​TROPICAL LIME CIDER Our basic sweet cider with the kiss of a margarita through the blessing of the Lime. We usually release it on tap on Cinco de Mayo. BLACKBERRY CIDER A burst of blackberries from the nose to the palate, this unique cider is a bramble in your glass. CRANBERRY CIDER This sweet cider is on tap in October through January for glassing and growling. We also make it available in 750ml bottles as a sparkling crown capped option year round. It pairs perfectly with chicken, turkey, and all of your holiday favorites. BLUEBERRY CIDER This sweet, seasonal favorite is usually on tap in June through August for glassing and growling, and in 750ml bottles as a sparkling crown capped option year round or until we run out. PUMPKIN SPICE CIDER This sweet cider is the bomb for a lot of people. We release it on tap in mid-September and try to keep it on tap into January for glassing and growling. We also make it available in sparkling 750ml bottles crowned capped. Some people like pumpkin pie on a plate, others like it in glass. CHERRY CIDER The essence of a Cherry Cider is the right sour cherry to give you that tart blend in the smooth and sweet apple. We are happy to have been able to find that supplier. We like to have this on tap for glassing and growling for President's Day, the Cherry Blossom Festival, and in June/July. Otherwise, we have it in 750ml bottles as a sparkling crown capped option year-round or until we run out.